TermSAFE reviews website Terms and Conditions and notes any sections, if any, that the user might want to read before agreeing to them. TermSAFE is focused on improving the users experience, improving the business’s customer service and ultimately strengthening the relationship between the two. 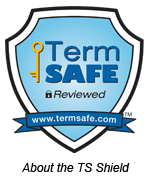 While TermSAFE provides a thorough review of the Terms and Conditions, TermSAFE is not providing legal advice. You can have great comfort knowing that the reviews of each set of Terms and Conditions accurately reflects our standard guidelines including clarity, hidden charges, privacy issues, venue for jurisdiction, transparency, and review of any previous complaints. The TermSAFE mission is to help website and app users improve their confidence and comfort level before agreeing to Terms and Conditions. We realize that most people do not read Terms and Conditions, or any service agreements, and click AGREE on just blind faith. Many users have trepidation and discomfort over potential liabilities and costs, but click AGREE anyway. 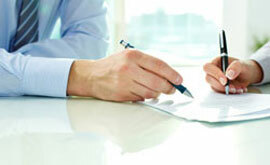 There are many situations where a thorough understanding of the Terms and Conditions is useful, particularly in areas of privacy, hidden fees, recurring charges, and areas of liabilities. Nevertheless, due to the length of these agreements and due to the difficulty of reading and interpreting them, most users click AGREE. TermSAFE is not dispensing legal advice but an opinion where we believe that users can Feel Free to Click Agree. The ratings for sites reviewed are based on a formula we use that accounts for many factors which in our opinion would affect the confidence and comfort level for most people in agreeing to Terms and Conditions. In addition, in many cases, we will list the potential area/areas of concern. Of course, it is always wise to read all Terms and Conditions, but the reality is that on the web, most people do not. TermSAFE aids and supports businesses by providing a live TermSAFE shield which allows you to show your users that your Terms and Conditions have been reviewed and they do business with you in total confidence and comfort. Once again, TermSAFE’s mission is to improve the users online experience, improve the business’s customer service while improving the relationship between the two. If there are any web sites or mobile applications you need reviewed, click here to fill out our request form and we'll complete your review within 48 hours. For the many companies who wish to show their users that their Terms and Conditions have been reviewed by TermSAFE, please click here for details on how to apply for a TermSAFE review.